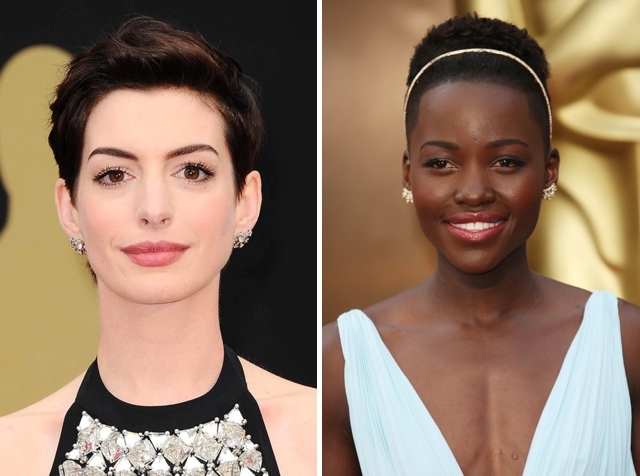 From full and brushed eyebrows like Miranda Kerr and Camila Alves, to the perfectly groomed soft arches of Anne Hathaway and Lupita Nyongo, the 2014 Oscars Best brows all have this in common: their shape is complimentary to each woman’s face and natural colouring. And the winners are…. Inspired by these red carpet looks? Come visit us for your very own 2014 Oscars Best Brows treatment. We can help you achieve starlet status with our Threading, Tinting, and waxing services!